I remember all too well the unexpected transformation that happened when my daughter Alison entered the pre-teen years. The sweet, lovable little girl we’d had for 11 years suddenly seemed possessed by a stranger with a sassy mouth and disrespectful attitude. Those were some trying times, and my husband and I did the best we could to balance patience with appropriate boundaries and consequences. We weren’t always successful but Alison transitioned from the teen years to adulthood relatively unscathed, and we’re very proud of her today. Still, it would have been so valuable to have the book, Conversations with the Wise Aunt, to guide us during that time. 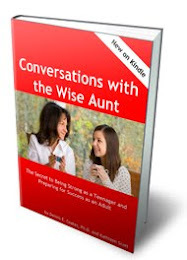 My business partner of 20+ years, Denny Coates, has written this book for parents of tween/teen girls and Conversations with the Wise Uncle, for parents of pre-teen/teen boys. These are extraordinary books for any adult who works with young people. 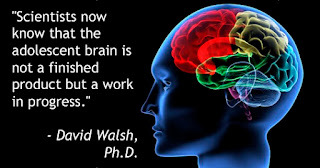 Denny’s had a passion for studying the brain and learning for almost 30 years. The depth of his knowledge continues to amaze me. He is now focusing his writing on the teen brain because he discovered the critical development that happens in the brain between the ages of 12 and 22—and most people don’t have this information. His new website, How to Raise a Teenager, is dedicated to educating parents about these changes. 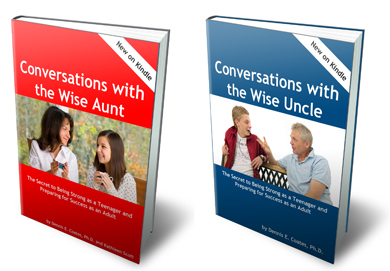 The two “Wise” books are fictional accounts of conversations that take place over time. 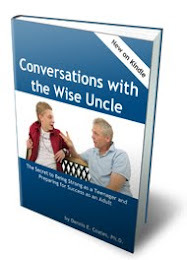 The Wise Uncle book tells the story of Chris and his Uncle Ray, who mentors him during his teen years. In the Wise Aunt, Trisha has a similar relationship with her aunt, Maria. Many of the issues covered are things most parents aren’t prepared to talk about. 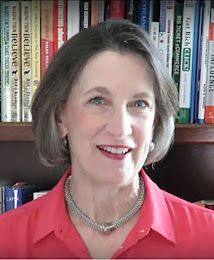 For example, few know that at the beginning of adolescence, the part of the brain that handles decision-making begins a critical growth period. During the teen years, it’s use it or lose it. Only the brain cells that are used remain. At the end of adolescence, the basic infrastructure for logical thinking is set for life. It’s like a window of opportunity to develop the foundation for understanding cause and effect, foreseeing future consequences, making rational decisions and managing emotions. 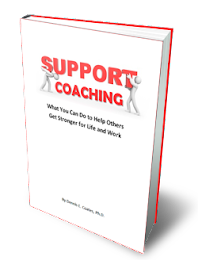 The wise uncle and the wise aunt emphasize character development, using stories about sports and volunteering in the community to coach the teen about building inner strength and positive lifelong habits. I highly recommend that you get the Wise Aunt or Wise Uncle book and read it yourself first. The dialogues in the books can give you ideas for heart-to-heart talks with your child. Then give it to your child. The stories will give them insights most young people never get—the kind that can give them an edge as they grow up and prepare for a happy, successful life as an adult. And in the world in which kids live today, they need all the advantages they can get.